If I scratch your back and you scratch mine, then we’re both better off as a result – so goes the principle of reciprocity, one of the most popular explanations for how co-operative behaviour has evolved. But what if one partner provides a better service than another? A paper by Dolivo and Taborsky shows that Norway rats will only give as good as they get. As humans, we are familiar with the concept of helping those who help us, whether it is by buying rounds of drinks or expelling diplomats. But demonstrating reciprocity in other species has proved more challenging. Part of the reason for this may be that reciprocity is rarer than might be imagined. But a major factor is the difficulty of establishing an objective means of measuring the costs and benefits of apparently helpful behaviour in the field. This is where the laboratory rat comes in. If the economics of behaviour elude field measurement, an attractive alternative is to perform controlled lab experiments. Dolivo and Taborsky trained rats to pull on a stick that drew a food item within reach of a rat in an adjoining cage separated from them by wire mesh. They then introduced a further treatment in which an experimental rat was placed in a cage with other caged rats on either side. On one side the rat pulled a stick that provided pieces of carrot to the rat in the central cage, while the other pulled a stick that produced banana pieces. In subsequent trials the focal rat had the opportunity to repay the other rats using the same stick apparatus to deliver food items. Now, the rats had typically turned their noses up at the carrot and showed a strong preference for the more desirable banana. On the basis that the banana-providing rat should therefore be remembered as the superior partner, the authors predicted that in the test phase the focal rat would more readily help provide for banana-purveying rats than for carrot-offering rats. This proved to be the case, so it did seem that the rats that had provided better help in the past received greater rewards, as expected if they were behaving reciprocally. Behavioural scientists have questioned the extent to which non-human animals have the capacity to engage in reciprocity without being exploited by “cheats” who take advantage of their kindness. It seems that this is cognitively demanding, in terms of bringing together the memories of who did what and judging how to respond. Dolivo and Taborsky’s latest results show that rats can recall the quality of help provided and by which rat, and adjust their subsequent behaviour so as to invest more time and energy in helping those that helped them. 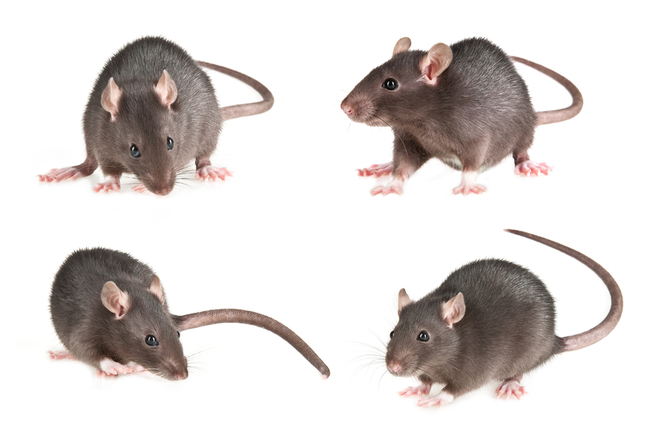 Taken together with the Taborsky group’s prior findings that rats are more likely to help a partner that had helped them before than one that had not helped them at all, these results provide interesting insight into how animals are able to manage the challenges of conditional co-operation. It is increasingly apparent that we shouldn’t underestimate the ability of animals to engage in reciprocity. For example, a 2006 study by Alicia Melis and colleagues reported that chimpanzees took into account their experience with potential partners when choosing which to recruit for a collaborative venture. A similar effect is seen among client fish – those species that are co-operatively served by other species of cleaner fish – which will preferentially associate with cleaner fish they have observed behaving in a co-operative manner. So there is evidence that other animals can assess the quality of partners and behave conditionally – a requirement for reciprocity to work. The latest paper fits within a resurgence of interest in reciprocity, as researchers take up the challenge laid down by critiques questioning its occurrence in non-human animals. For example, the classic case of blood donation among vampire bats has been revisited with a demonstration that the best predictor of donations received was whether donations had been made. Meanwhile recent experiments with pied flycatchers also appear to demonstrate that birds will help those that have helped them mob owls in their territories. Good examples of reciprocity in non-human animals may be uncommon but Dolivo and Taborsky’s work supports the view that, where reciprocity does pay, animals can make it work through co-operating conditionally and favouring those partners which provide the best quality help.